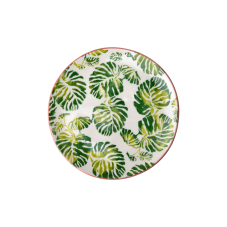 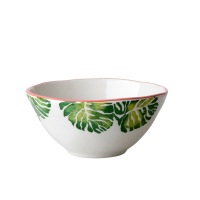 Small cute ceramic Palm Leaf print dessert plate with hand-painted gorgeous tropical leaves from Rice. 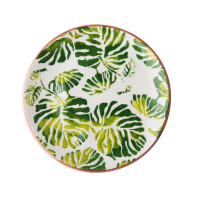 So practical and pretty for just about everything. 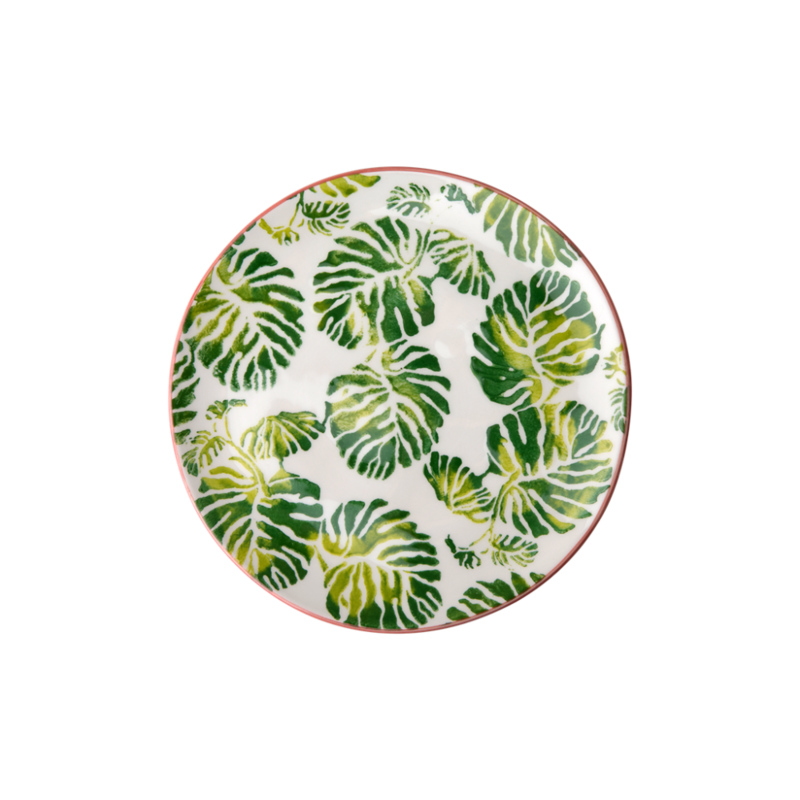 This plate is the perfect backdrop for a nice slice of cake.